Summer is starting to wind down, but there’s still time for one more big annual tradition. The L.A. County Fair starts Labor Day weekend and marks the transition from summer to fall (after all, it’s not like we can count on the weather to tell us when it’s acceptable to start ordering pumpkin spice foods). 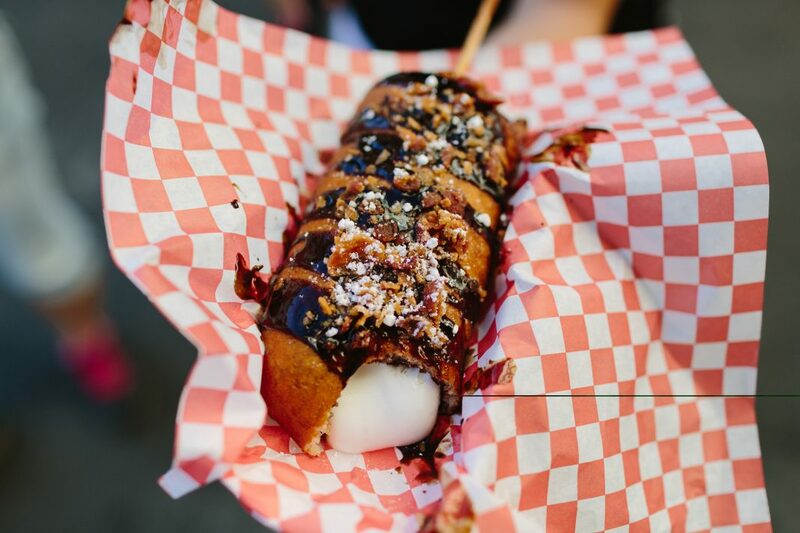 Plan an excursion to see a throwback concert, ride a ferris wheel, pet some cute animals, and, of course, indulge in all the deep-fried foodstuffs your body can handle. When Is the L.A. County Fair? The 2018 L.A. County Fair runs August 31 to September 23. The fair is closed on Tuesdays and Mondays except for Labor Day. Daily operating hours vary, but generally run noon to 10 p.m. on Wednesday, noon to 11 p.m. on Thursday, noon to midnight on Friday, 10 a.m. to midnight on Saturday, and 10 a.m. to 10 p.m. on Sunday. Also check out re-creations of Olvera Street and Adobe de Palomares circa 1855, when it was one of the first buildings on modern-day Pomona. The Farm offers a live demonstration of local agriculture, along with a chance to meet some adorable barnyard animals. All the over-the-top, ridiculous, delicious carnival foods you can think of (and some you haven’t seen before) will be on offer. We’re talking about deep-fried chicken and pineapple kebabs, buffalo chicken mac and cheese in a waffle cone, chocolate-dipped beef jerky, and funnel cake topped with mini cinnamon rolls. You can get “normal” fare too, like hot dogs, Dole Whip, and about a dozen different types of tacos. The live performance schedule for this year’s fair is heavy on the family-friendly nostalgia acts, as always, with a concert at 7:30 p.m. every night except for Wednesdays. Highlights include the Commodores, the Stylistics, and the Ohio Players on August 31, Joan Jett & the Blackhearts and Cheap Trick on September 15, the Beach Boys on September 20, and WAR and Tower of Power on September 21. In addition to the main performance stage, also check out shows at the Kickin’ Country Stage and Esmeralda’s Steampunk Circus. Admission to the fair is free for children age 5 and under, $8 to $12 for children 6 to 12, $14 to $20 for ages 13 to 60, and $10 to $15 for seniors. If you’re planning to head out to the fair multiple times, season pass packs are available for $66 to $166, which include entry for four people, a parking pass, and other perks, good for multiple visits. Carnival tickets and wristbands are an additional fee. Tickets are available online in advance or at the box office. Parking is available at the fairgrounds for $15 to $30. If you don’t feel like driving, Metrolink will connect you directly to the fairgrounds on weekends. The San Bernardino Line runs from Union Station downtown straight to Fairplex Station, and a $10 Weekend Pass will get you unlimited rides and transfers. The Fairplex Station doesn’t operate Monday to Friday, though. On those days you can still take the train to Pomona-North Station, and a bus will carry you the rest of the way.